Well, what can we say? Celebrity visitors just love the Delta Force Paintball East London centre! We’ve welcomed world famous rappers, such as Tyler The Creator, and even the Mayor of London, Boris Johnson! 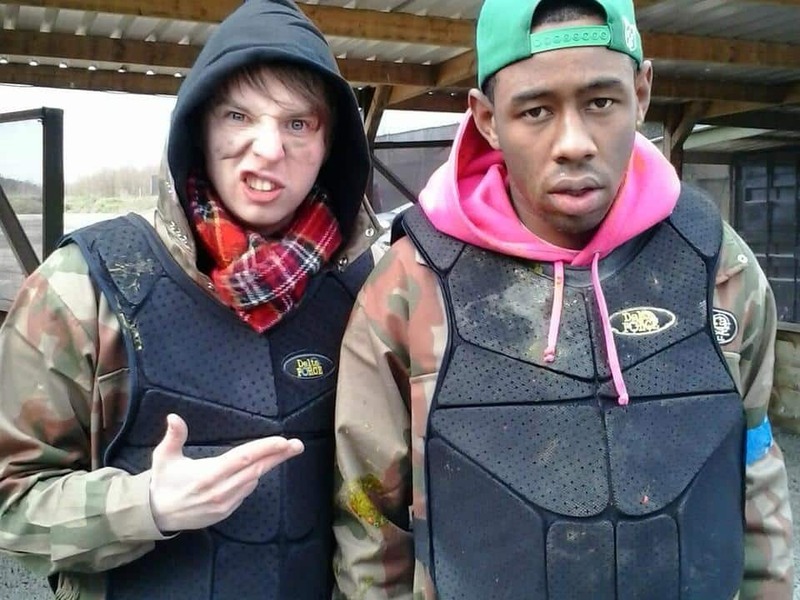 Tyler The Creator found himself fully kitted out in Delta Force Paintball safety gear and experienced iconic Delta Force paintball game zones including Afghan Fort, Chemical Alley, Jet Hijack, London Bus, Mad Murphy’s Jungle Attack, Viet Cong Village and Zombies’ Crypt. It’s not just the soap stars we attract at our UK paintball centres… Boris Johnson also decided to pay us a visit along with his friends! Boris is well known for his pivotal role in politics as London’s Mayor; his passion for outdoor sports and the introduction of ‘Boris’ bikes’ in the city. As a regular bike rider himself, Boris’ fitness levels were put to the ultimate test at Delta Force Paintball in East London: he spent the whole day darting about in the woods and dodging shots from the opposition! Boris and his group enjoyed a fantastic range of game zones featuring movie-like props, such as a fighter jet, four real-life double decker London buses; military trucks, forts and zones decked out like rainforests! Other game zones include Zombies’ Crypt which features a disused church and numerous tombstones for players to hide behind and Viet Cong Village where lots of hostile villagers loom. Boris and his pals were also able to use a range of paintball pyrotechnics, from paint grenades and smoke grenades to MK5 Thunderflashes! For more information about playing paintball in central London with Delta Force Paintball or for more information about our paintball packages, call 0203 869 9301 and speak to one of our friendly advisors who will be happy to help.